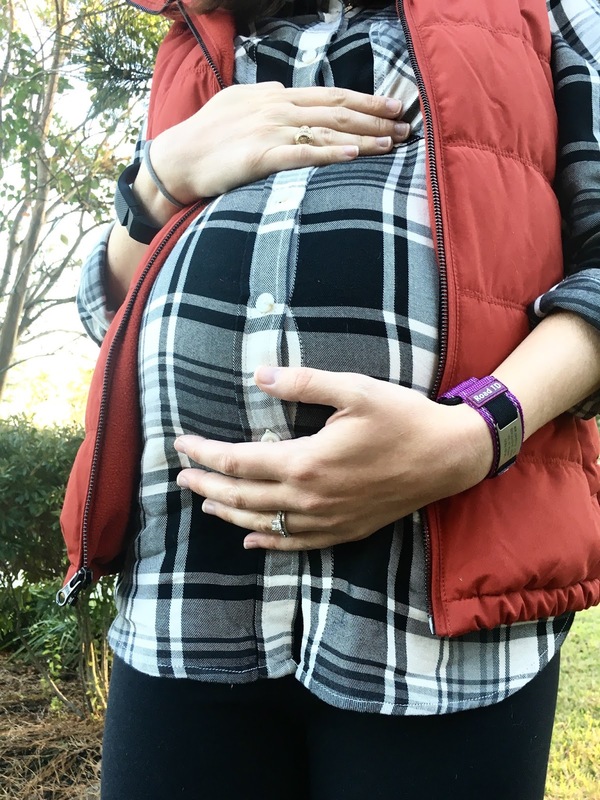 I am posting this bumpdate a little earlier than I usually do in the week, but with Thanksgiving on Thursday, today seemed like a good day to recap week 26! I turn a new week on Saturdays, so I am almost halfway through week 26- nuts! 1. I don't really have abs anymore, so getting up or rolling over takes more effort than it used to. Ab muscles have been replaced by a very giant belly! 3. His movements are still strong and so much fun. I love watching my belly move around from the outside. It's just the coolest! 4. Baby Phelps attended his first Aggie game in utero this past weekend. There were two little boys in front of us playing and watching the game, and it got us so excited to take Emmett (my nephew) and baby P to games when they are older. Class of 2039!